Police Squad! is a television comedy series first broadcast in 1982, created by David Zucker, Jim Abrahams and Jerry Zucker, and starring Leslie Nielsen. A spoof of police procedurals, the series featured Zucker, Abrahams and Zucker's usual sight gags, wordplay and non sequiturs. While a parody of many television shows and movies, it bore a particular resemblance to the Lee Marvin cop show, M Squad (especially the opening credits) and the late 1960s series Felony Squad. Although cancelled after only six episodes, the show spawned the successful Naked Gun film series. Frank investigates a body of a struggling comedian found at the bottom of a cliff in a car crash. mobsters blackmail various store-owners, Frank and Norberg go undercover and set up a key-making and locksmith store. The Police Squad department is sent to investigate a bombing at the courthouse. Special guest star: William Shatner! The daughter of a wealthy businessman has been kidnapped during her 18th birthday party. Frank, Ed, and Norberg investigate. Frank makes a deal with boxer Buddy Briggs, whom he trains for a title fight against the current champion "The Champ". 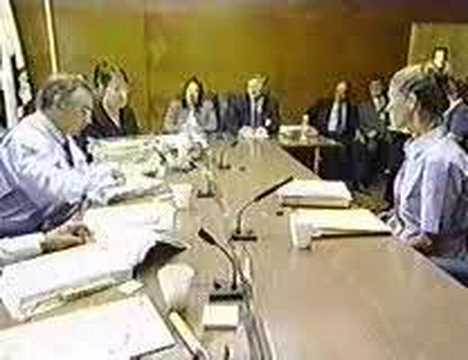 The police spoof to end all police spoofs - here'sthe show that spawned The Naked Gun series. From Leslie Van Houten to Charles himself, a look at the Manson Family parole hearings (and the media circus surrounding them each time they roll around).